There’s a lot to do and see around the city over the Christmas period. Visiting Granada’s most famous Mercado de Navidad in Plaza Bib Rambla is certainly a must if you have any last minute gift shopping to do. 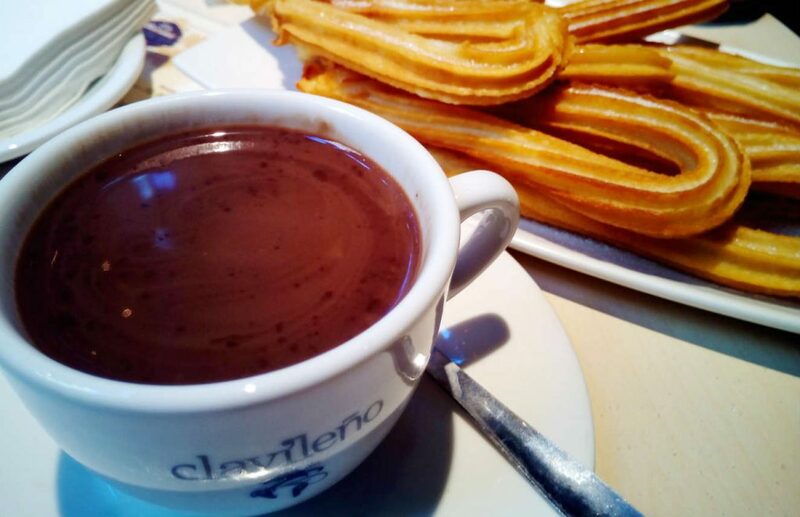 Located near the cathedral, it opens from 5 December to 6 January (closed on 25 December and 1 January) and there you’ll find crafts and ceramics, jewellery, leather goods, and clothes plus street performers and the chance to warm yourselves with some churros and chocolate and other typical Christmas treats. Nativity scenes or Belénes can be found all over the city. This is a Christmas tradition that goes back centuries and every year there is a competition, run by the town hall, to find the best Belén. Some of the most popular and worth a visit include: the Belén del Ayuntamiento, on Plaza del Carmen; previous prize-winner Belén del Museo de San Juan de Dios in la Casa de la Pisa, on Calle Convalecencia; and the Belén de la Catedral located by the main entrance of the cathedral. Another very Spanish tradition you can experience while in Granada over the holidays is the Cabalgata which is a grand parade that takes place in the city centre on the night of 5 January. On this night people of all ages all over Spain take to the street to greet the Three Kings and if you join them don’t forget to wrap up warm and make plenty of festive pit stops. Beautiful at any time of year, the Alhambra is the kind of bucket list destination that you certainly do not want to miss if you’re spending Christmas in Granada. Overlooking the city, this is one the world’s best preserved medieval Islamic Palaces and the most popular attraction in Spain. It’s worth noting that the Alhambra Palace is closed on Christmas day and New Year’s day and that tickets will sell fast for the holiday period. If you find that they have sold out you may still be able to book a guided tour allowing you to skip the entrance lines, and the chance discover this stunning monument. You’ll also enjoy panoramic views of Granada at the same time. If you’re looking for good hotels near the Alhambra, check out 5 of the Best here. After any or all of these mostly outdoor activities you may well need to warm up and wind down, and Granada has the perfect place to do just that at the Hammam al Andalus bath house. The tradition of the hammam was an integral part of daily life in Southern Spain under the Moors. 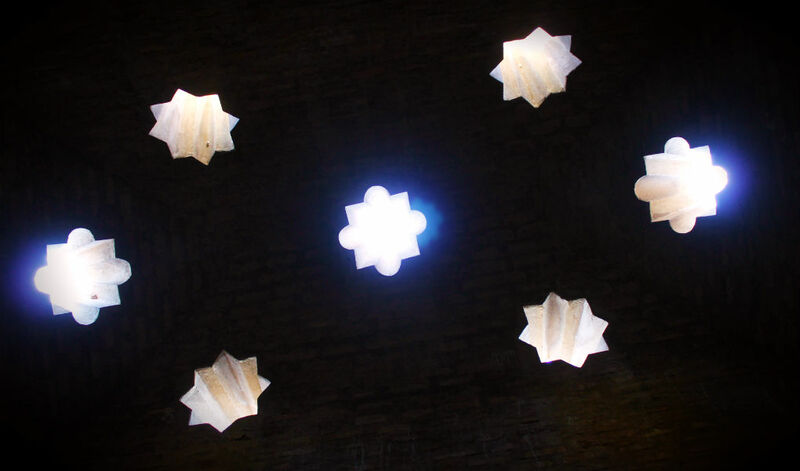 And, after walking through the historic bath house baños arabes within the Alhambra grounds, what could be more apt than a visit to the nearby Hammam al Andalus to relax and experience for yourself just how such baths operated in Moorish times. You can even book your Alhambra guided tour tickets followed by a Hammam spa session and massage here in a great combo experience. 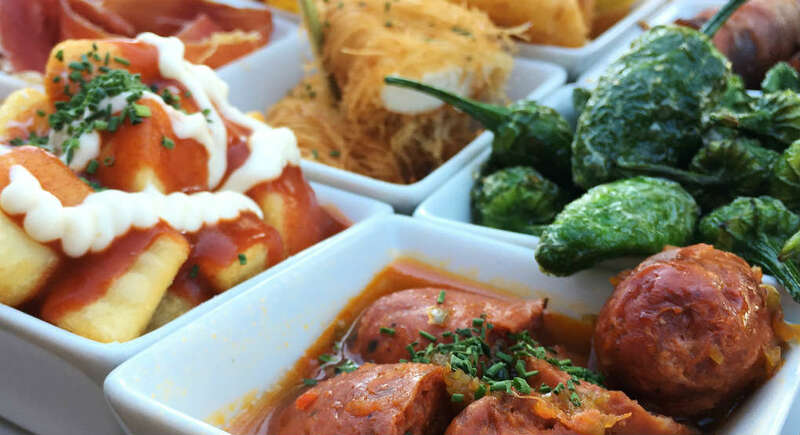 Granada is the home of free tapas and when out on a tapas bar crawl in this city the old adage ‘you get what you pay for’ doesn’t really stand up because the quality is generally mouth-wateringly high. The tradition, so deeply ingrained in Andalucían gastronomic culture, is that with every drink you order you’ll also get a tasty little side order of food to go with it. These offerings vary greatly in style across the city with something for everyone from vegans and vegetarians to meat eaters and seafood fanatics. You can’t get much more traditional than the popular Bodegas Castañada located at Calle Almireceros, 1-3 just off Calle Elvira. For meat and seafood try Los Diamantes, also a big hit with the locals and now found at three city locations: Calle Navas, 28; Calle Rosario, 12; and Plaza Nueva, 13. Vegetarians should check out Babel World Fusion on Calle Elvira, 41 and for some Moroccan style tapas, reflecting the city’s moorish roots, visit Om Kalsoum on Calle Jardines, 17. If you prefer you can put yourself into the hands of a local expert this Christmas and book a guided tapas tour. Your guide will lead you through the back streets to some of Granada’s best loved bars and restaurants and give you a bit of insight into the city and the food for which it is famous. And finally, what would Christmas be without some spirit? And what would a visit to the city of Granada be without experiencing some Spanish spirit or duende live and up-close at a flamenco show? Originating over 500 years ago, flamenco, with all its fire, passion and drama, is the beating heart of Andalucían culture. You’ll find some of the best shows, boasting the finest talent, up in Sacromonte and the Albayzín. For more information on where to go check out our recent guide to the Top 5 Flamenco venues in Granada. If you’d like to book in advance to ensure that you don’t miss out at this busy time for year you can reserve tickets for a show or a show plus dinner at Jardines de Zoraya. Located in the Albayzín this is one of Granada’s most popular flamenco venues and offers an early show as well as a late show making it a great option for families with kids.